This car could only be going to a quilt retreat. 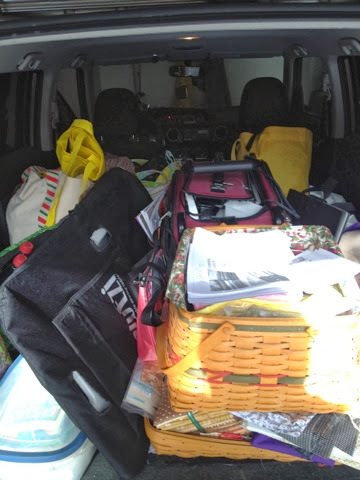 Am I the only one who overpacked and brings too many projects? I chose a contemporary block feather for this fairly traditional star block quilt. Do you want to jump in on Pat Sloan's Globetrotting block of the month? It's not too late. Click here join in. 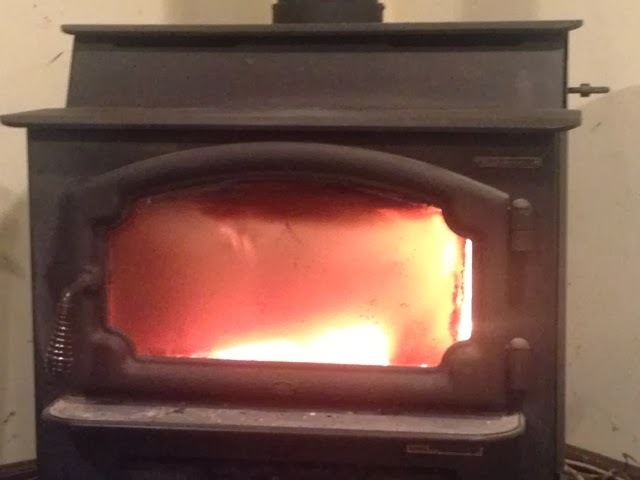 What does yours look like? How will you quilt it? I'm so excited that I finally started quilting Pat Sloan's Globetrotting quilt! I am using Konfetti thread, a 50-weight cotton from WonderFil. I am quilting on Hazel, my Handi Quilter Sweet Sixteen machine, using a size 16 needle. I am using a quilt-as-you-go technique which means I am quilting each section of the quilt separately and then joining the pieces together after they are quilted. This technique allows quilting without maneuvering a large quilt. It's also a great technique for those who can't wait to get started quilting a year-long project. Impatient? Who, me? In the above photo, I didn't draw on the quilt, I drew on Quilter's Preview Paper as described in a previous post -- see bottom of this post for links. 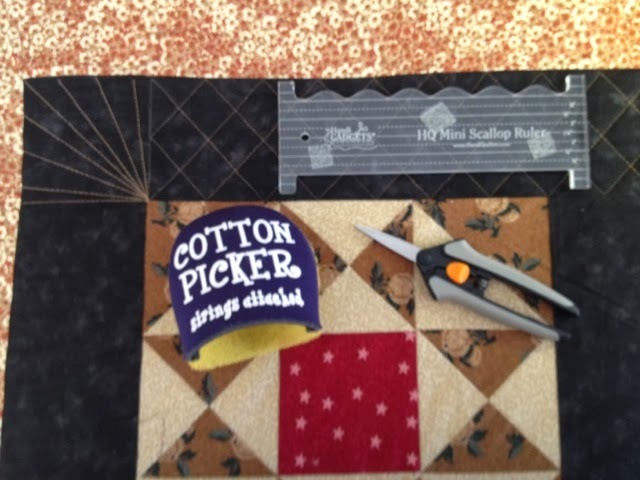 Next, I am using some tools from Handi Quilter -- the 4-inch and 6-inch circle from the Handi Quilter Circles and also Handi Grip to help the template grip the fabric while I am quilting. Now this first section of the quilting is done. Isn't it pretty? 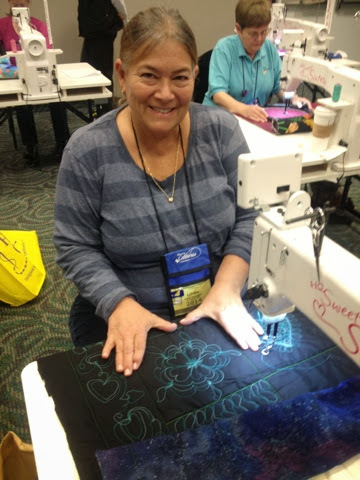 I have four professionally filmed quilting DVDs . They used real cameras and lights and a director and a cameraman and a sound guy... Yeah, they are probably a bit better than this one was. I'll post the next video in a few days when life allows. Happy Quilting! I love these Arc Templates for double continuous curve! Yesterday, I chose the designs for my Washington DC block from Pat Sloan. I decided to use cotton thread for this project. I often use polyester thread, or silk thread, or rayon thread... I just picked cotton for this one. I chose Konfetti from WonderFil. I use this thread in a lot of projects; it comes in a variety of colors and it quilts well (not much breakage and not much lint). The top color was too "happy." The middle color was too dark. The bottom color wasn't really green but it blended well so I chose it. Originally I thought this light green fabric was too close in color to the tan, but once it was pieced it showed more contrast. If it were really too close in color, I would have chosen the darker green and increased the contrast by using a darker thread. The top color is a shade darker than the fabric. The bottom color is a shade lighter than the fabric. I chose the lighter one ... just because. The orange was too "happy" but the rose worked well. They all worked well, but I chose the middle one. It seemed to blend the best. In the 15 years I've been machine quilting, I've learned to embrace Plan B. For this quilt, Plan B = use a thread that shows in the video and still looks good on the quilt. Next step: I plan to quilt this on Hazel, my sweet Sweet Sixteen . Stay tuned! Working on an old project, giving it new life. I am so excited to start quilting Pat Sloan's Globetrotting quilt. I am so excited, in fact, that I decided to quilt a block each month instead of waiting until the end of the project. I chose to piece my backing from scraps, but a whole piece of fabric works really, really well. I chose Quilter's Dream Green batting. If I had used a lot of light fabrics, I would have chosen a different batting; the green shows through thin or very light fabrics and tints them a light green. Pin basting, thread basting, and other methods work well, but I chose spray basting for this one. I have instructions on spray basting a quilt here. Please note that I only drew on the Preview Paper and not the quilt top! This quilt block is larger than the Preview Paper. Since the block is symmetrical, I decided to only draw the bottom half of the block and copy it to the top when I quilt it. I decided not to quilt the inner brown border right now. I will quilt it after I join the sections at the end of the quilt along. Tune in for the next step: Picking thread colors. 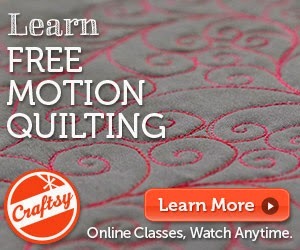 Did you know that I have a YouTube channel full of free quilting videos? I videotaped the quilting of a few quilts. My to-do list for today includes the item "film more quilting videos." I have mentioned that we have a broad definition of "family." My son's wife's sister's husband's mother and I are often the "outlaws" at family events. She is a dear woman and she loves seeing the quilts that I give as gifts for these occasions. I bought this kit, made about half of the blocks, and packed this project away years and years and years ago. Recently I decided to pull it out and finish it for this wonderful woman. The photo is mottled from the shadows through the trees. The legs belong to my son. He was drafted as a quilt holder when he was here for a visit. I am pleased with how it turned out and thrilled that she liked it. Yesterday vs today. I like the palm trees better. Every page made me happier than the page before. I have a long list of things to do today, but all that I want to do now is start one of these projects. Dare I start another project when I have so many in process? This morning, I left my hotel before 5am in California. I passed out on my flight to Phoenix. I dozed a little on my flight to New Jersey. My luggage arrived. The lot attendants cleaned the snow from my car and started it for me. I drove a warm car home in light traffic on snow-less roads. This trip was the epitomy of uneventful. Total elapsed time: 13 hours. I am a happy, happy woman. My last trip was a little. more. exciting. I'm gonna have a cup of tea, jump in my jammies, and sleep for a week (or hopefully 8-9 hours). This is my last night in California. I will miss the quilters and the beautiful weather. My way to view a quilt show. I guess they were afraid that viewers might follow instructions so they hung it too high for anyone but a pro basketball player to reach. She is one talented lady and I wish she were here with me. I fear, though, that this quilt show might not be big enough for the two of us. Look at what Linda McGregor Did! She can't wait to go home to quilt! Before you burst with pride for me, it's probably only clear because after teaching all day and grabbing a bite to eat, I am too tired to pull out any of the work that I brought with me on this trip. No hand sewing, no reading, no writing, no classwork.... no nothing. While Matthew Macfadyen is not my favorite Mr. Darcy (cough*Colin Firth*cough), the costumes in this movie make me drool. May we all dream of Mr. Darcy. What a great day! 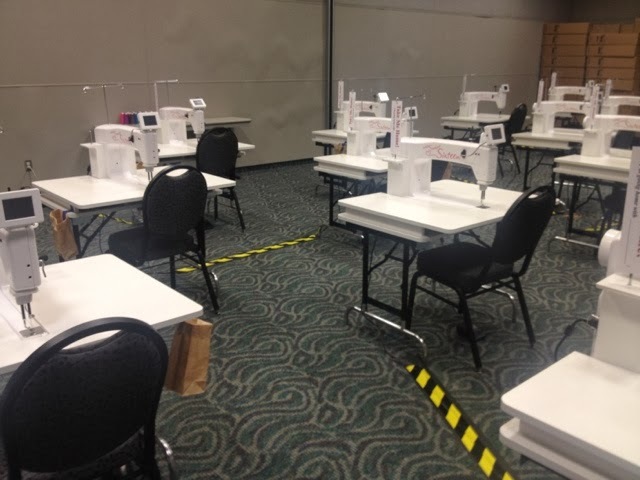 I had a full class today for a full day of free-motion quilting. The students' smiles are the reason why I do what I do. I had dinner with a bunch of teachers from the show and met many others at the Teacher Reception tonight. I have to put my room keycard in the slot to turn on the lights in my room. When I leave and take the key with me, the power to the lights goes out. I saw this in a hotel room in Russia, but never in the States. I love this and want this for my house! 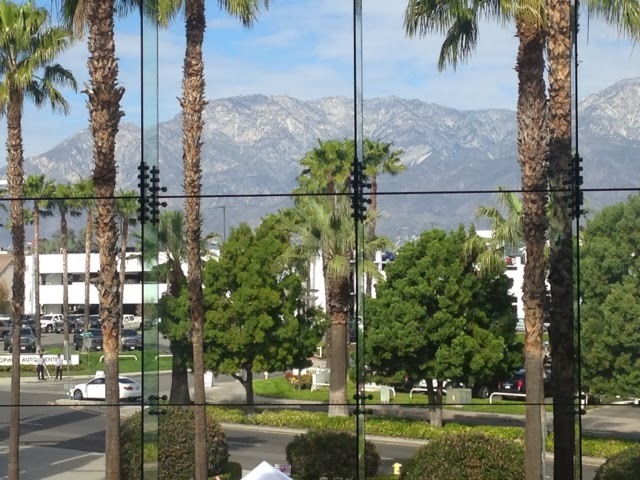 I flew to California a day early to avoid weather-related travel problems. How should I spend my extra day in California? These were all finished on the airplanes yesterday. Will you hate me if I say it was just OK? Several friends and relatives have asked me to hand-carry a burger home for them, but this first taste didn't inspire that type of desire in me. People see me in class. They do not see me when I am writing class descriptions, writing class handouts, making travel arrangements, working on show contracts, answering questions for show publicity interviews, and taking care of countless other details that are necessary to get me into the classroom. That's what I have been doing for the second half of today. That is what I will be doing tomorrow after the show, and the next night, and the next night. BUT, there is a Starbucks (chai tea latte with soy) across the street from my hotel, so I'm up for it. 5. Have dinner with another teacher. It's always great to meet another teacher, someone I know by reputation and through Facebook, but not in person. 6. Fall asleep watching Sherlock on pbs.org. I spent a great day in California! Sometimes I feel really dumb. Dumb, dumb, dumb. Other times, though, I feel really smart. Brilliant in fact. One of those times is today. I am teaching at Road to California this week -- Wednesday through Saturday. Conventional wisdom says that if I am teaching on Wednesday, I should fly in on Tuesday. 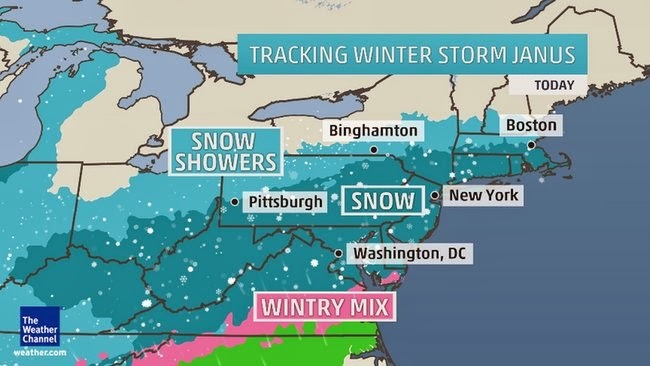 If I had left home this morning, I would have driven to the airport in New York traffic in the snow, paced at aiport waiting for them to cancel my flight, and it would have gone on from there.